Home Travel Tips & News Beach & nature Pick your paradise: Which Hawaiian island is best for you? Whether you’re planning to island hop or base yourself on one island, it can be hard to figure out which Hawaiian island is best for you and the type of vacation you want to have. To help you get a better idea of where to spend your time in Hawaii, we’ve put together a guide on what each island has to offer – and they offer a whole lot. From beaches and volcanoes to hiking trails, waterfalls and surf spots, there’s something for everyone in Hawaii. Oahu, Maui, the Big Island, Molokai, Lanai and Kauai all offer something a little bit different. Here’s a breakdown of each island, what you can expect from them in terms of activities and vibe, and our picks for where to rest your head while you’re there. Whether you stick to one island, chose two to divide your Hawaii time between or visit all six, you’ll get to experience Hawaii’s natural beauty and it’s diverse array of attractions. Majority of Hawaii’s population call this island home, so you can expect all the comforts of home and a more modern feel than you might get on other, less populated islands. Oahu is where to base yourself if you’re looking for a variety of things to do to please the whole family. The island is particularly good for beaches and surfing and you can take a surf lesson on famed Waikiki Beach where surfing was born. More experienced surfers can catch some big waves on the island’s north shore. Oahu is also a good place for history and culture. There are many museums here as well as historic sites dedicated to Pearl Harbour to explore, and anyone interested in what’s under the sea will be happy here– Hanauma Bay Nature Preserve is one of Hawaii’s premier snorkelling sites. Where to stay: Families will love the Sheraton Waikiki Hotel, located on a prime stretch of famed Waikiki Beach. The expansive property is close to many of Waikiki’s attractions and boasts many activities and events to choose from, as well as entertainment and a massive pool area with a waterslide that kids are sure to love. Hilton Hawaiian Village Waikiki Beach Resort is another good option for both families and those seeking lots of activities and amenities. There are five pools, numerous restaurants, a spa, children’s program and daily events and activities. 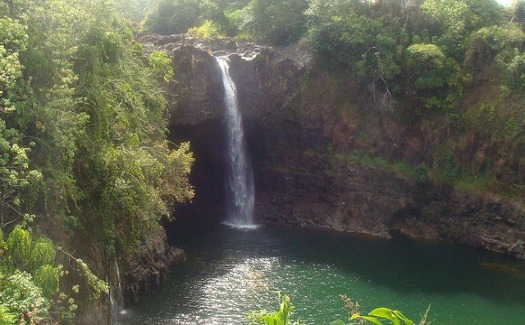 Maui is Hawaii’s second largest island and has a diverse variety of attractions. 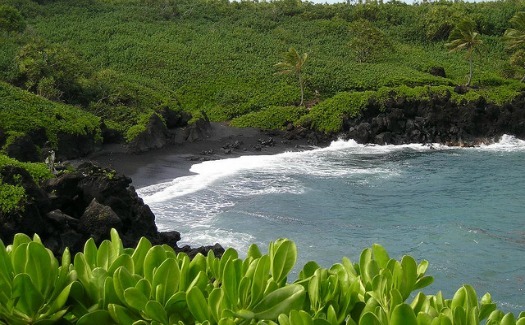 For starters, beach-lovers should definitely add Maui to their island-hopping list. The island is home to some of the most beautiful beaches in the world like Kaanapali Beach, one of Maui’s signature white sand beaches that you won’t want to miss. 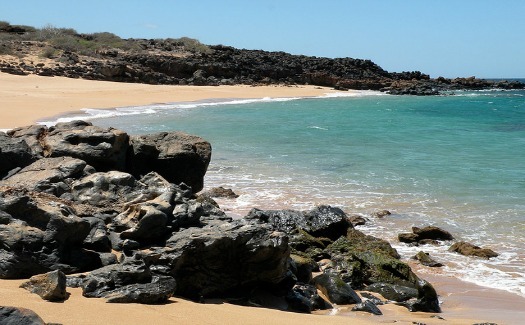 Maui’s biggest beach is Makena Beach and is also a good spot to snorkel. Hikers should also consider Maui and make a visit to Haleakala National Park where they can hike the trails around Maui’s highest peak. There’s also hiking opportunities in Iao Valley State Park, which is also home to the 366-metre Iao Needle, one of Maui’s most recognizable landmarks. Foodies will also want to check out Maui, an island known for its farm-to-table local cuisine and a good place to go for great food is Lahaina. Where to stay: Consider a stay at Wailea Beach Marriott Resort & Spa for its beautiful beachfront location, as well as multiple pools (including one for kids and one adult-only pool area), and activities like floating yoga and stand-up paddle boarding fitness classes. You can also try Westin Maui Resort & Spa right on famed Ka’anapali Beach. The location is great – you can walk to two golf courses, plus many other attractions and activities are nearby, and there are many amenities on property to keep vacationers busy. Hawaii Island, or otherwise aptly referred to as the Big Island, is larger than all of the other Hawaiian Islands combined. Hikers visit the Big Island for an opportunity to hike Kilauea, one of the world’s most active volcanoes, which you’ll find in Hawaii Volcanoes National Park. Here you can access more than 240 kilometres of hiking trails that take you through volcanic craters, rain-forests and other unique terrain. Nature-lovers will also benefit from a trip to the Big Island – there are waterfalls along the Hamakua Coast, which you can see on a hike in Akaka Falls State Park, the aforementioned rain-forests to explore and beautiful botanic gardens in Hilo. Where to stay: Hapuna Beach Prince Hotel sits on white sand Hapuna Beach making it a great spot to base yourself. There’s also a golf course, tennis courts, five restaurants, kid’s programs and water sports. For something more intimate, book a stay at Kalaekilohana, an award-winning bed and breakfast that receives great reviews consistently. It’s conveniently located between two of the Big Island’s top attractions, Hawaii Volcanoes National Park and Pu`uhonua `O Honaunau National Historic Park. 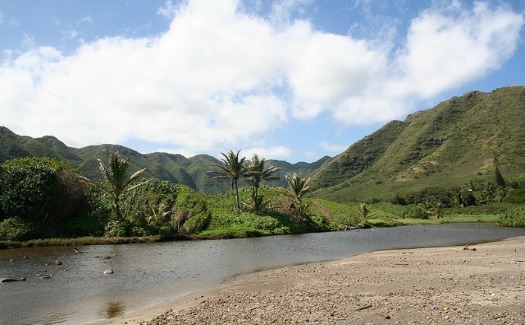 Molokai is unique in that nearly half of the island’s population is made up of those with native Hawaiian ancestry. If you’re looking for a slower pace and want to get a sense of the culture of Hawaii, Molokai is a great option. The town of Kaunakakai is where you can immerse yourself in history – the town is virtually unchanged since the early 1900s and is one of the most remote settlements in Hawaii. For more of Hawaii’s history and culture head to Kapuaiwa Coconut Grove to see an ancient Hawaiian coconut grove planted in the 1860s, or go to the well-preserved fishponds built 700 to 800 years ago. Beach-lovers should make their way to Papohaku Beach, one of Hawaii’s largest white sand beaches. Where to stay: Try Hotel Molokai’s oceanfront bungalows. There are kitchenettes in the rooms, private lanais, hammocks, water sports available, complimentary W-Fi and complimentary light continental breakfast for guests. For a quieter, more secluded stay on the beach, try Dunbar Beachfront Cottages on the east end of the island. Lanai is ideal for any visitors to Hawaii who want to get away from it all and indulge in some serious rest and relaxation. It is also an ideal island for vacationers who crave activity. There is a not a single traffic light on the island, and it’s void of crowds. You can find some luxury resorts here that take advantage of the peaceful nature of the island. Those looking for beautiful scenery can find it on Lanai with a 4-wheel drive trip up Munro Trail or on a hiking trip throughout the many trails, and wildlife watchers might be able to spot some spinner dolphins from pretty Hulopoe Bay. Where to stay: The Four Seasons Lanai at Manele Bay borders a marine preserve and has a private white sand beach. The beautifully decorated resort is perfect for both getting away from it all and getting active. There are two golf courses, a pool, cultural activities available, a spa, hiking routes, tennis and much more. If you’re looking for a more intimate option, try Hotel Lanai, a small hotel in a historic building. Accommodations are charming, there is a restaurant on site and the property is well located to take advantage of the activities on offer in Lanai, such as hiking, horseback riding and snorkelling. 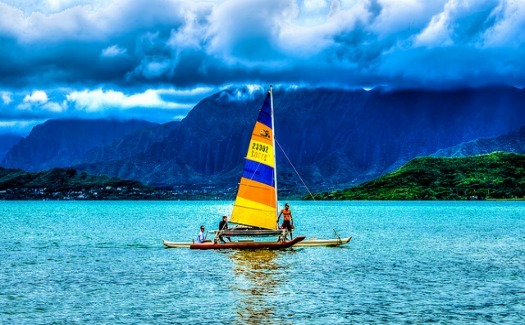 Nature and outdoor enthusiasts should pay a visit to Kauai, Hawaii’s oldest and northernmost island. 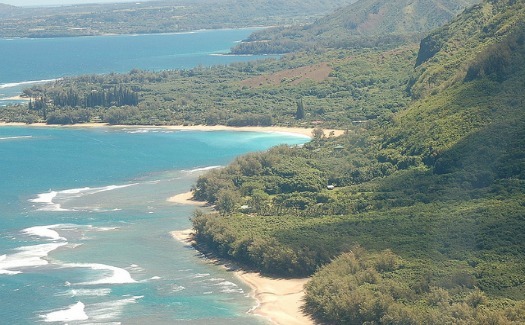 See what’s going on underwater with some snorkelling on Poipu Beach, kayak on Wailua River or hike in Kokee State Park. If you’re really looking to get off the beaten path and see something special, try checking out the areas of Kauai that are only accessibly by air or water. You’ll also find waterfalls here, Waimea Canyon (known as the Grand Canyon of the Pacific), the chance to zip line over the lush landscape and a tranquil, laid back atmosphere for those seeking an opportunity to recharge. Where to stay: Relax and enjoy Kauai’s impressive natural beauty with a stay at Hanalei Colony Resort on the island’s north shore. You’ll have a secluded golden sand beach at your disposal, mountain views, a day spa, a pool, stunning settings and the chance to do some of what the island is known for like hiking, zip lining, stand-up paddle boarding, surfing and much more. Wyndham Koloa Landing at Poipu Beach Wyndham Grand Resort on the island’s south shore is another good option. There are 85 villas on the property ranging from one to four bedroom and each has a kitchen making it feel more like a home away from home. The hotel is steps form Poipu Beach, offers many amenities and services, like Wi-Fi, and has a wonderful spa. Previous ArticleWhat are the differences between airline classes?